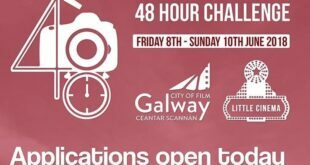 The Irish Language Broadcast Fund (ILBF), BBC Gaeilge and TG4 have announced a new funding initiative for feature-length Irish language drama. Ideas are sought for a contemporary drama set in an environment where Irish would be spoken naturally. The drama should have both a national and international appeal. The drama fund will initially support the development of two projects with one of those projects then being supported for production with funding appropriate to a low budget feature film. 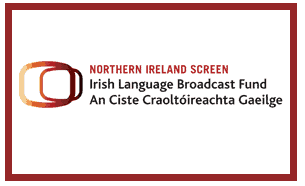 The aim of the scheme is to support and develop the Irish language drama sector in Northern Ireland, enabling the production of entertaining content with international appeal. The feature film would broadcast on both TG4 and BBC NI and would also have a theatrical release. The development budget available is £22,500 per project and the production budget will be approximately £350,000. Development applications will be accepted from individuals or production companies, based in Northern Ireland, but in all cases, the proposed writer and director must be fluent Irish speakers. The development period will also include support from an experienced script editor and may include other forms of support where applicable. 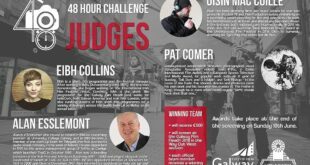 Deadline for receipt of applications is Friday 15th December. Inniu d’fhógair an Ciste Craoltóireachta Gaeilge (CCG), BBC Gaeilge agus TG4 tionscnamh maoinithe nua le haghaidh dráma Gaeilge ar fhad scannáin. Tá smaointí á lorg do dhráma nua-aimseartha atá bunaithe i gcomhthéacs nádúrtha ina mbeadh an Ghaeilge á labhairt de ghnáth. Beidh an dráma tarraingteach ag an phobal náisiúnta agus ag an phobal idirnáisiúnta araon. Tacóidh an ciste drámaíochta le dhá thionscadal a fhorbairt agus bronnfar maoiniú léiriúcháin ar cheann acu siúd ina dhiaidh sin, maoiniú a bheidh ar aon dul le buiséad príomhscannán beagchostais. Is é aidhm na scéime, tacú le hearnáil drámaíochta na Gaeilge i dTuaisceart Éireann agus í a fhorbairt chun ábhar siamsúil atá tarraingteach ar bhonn idirnáisiúnta a léiriú. Chraolfaí an príomhscannán ar TG4 agus ar BBC NI araon agus chraolfaí sna hamharclanna é chomh maith. Is é £22,500 an buiséad forbartha atá ag dul do gach tionscadal agus beidh timpeall £350,000 i gceist leis an bhuiséad léiriúcháin. 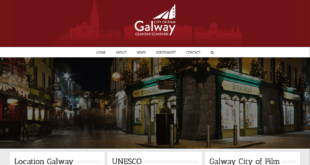 Glacfar le hiarratais ó dhaoine aonair nó ó chomhlachtaí léiriúcháin atá lonnaithe i dTuaisceart Éireann ach ní mór don scríbhneoir agus don stiúrthóir a luaitear leis an tionscadal a bheith líofa sa Ghaeilge. Mar chuid den seal forbartha cuirfear tacaíocht ar fáil ó eagarthóir scripte seanchleachta agus d’fhéadfadh go mbeadh tacaíocht ar bhealaí eile i gceist chomh maith. Ní ghlacfar le hiarratais i ndiaidh Aoine 15 Nollaig.